When students opened their e-mails earlier this week, they probably noticed an oddly titled message in their inboxes. The Hilltop Happenings newsletter was sent out on Monday. The newsletter will be sent out to all students on a weekly basis, Ticaric said. Ticaric said informing students is the intended purpose of the newsletter. 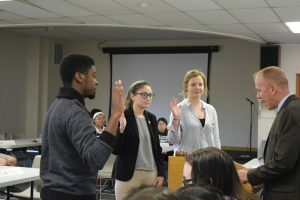 Ticaric said the idea for the newsletter had been floating around in Student Senate and over winter break she and Executive Director of Student Involvement Greg Killoran decided to take action. Freshman accounting major Zach Tenny said the name Hilltop Happenings confused him. Ticaric said the newsletter will be sent out every Monday morning. “The faculty here at Bradley gets a weekly newsletter so students should have one, too,” she said. Hilltop Happenings comes out of the Center for Student Involvement. 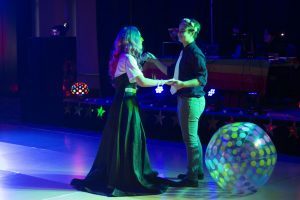 “We wanted to help encourage students to take the initiative and get their events publicized,” Ticaric said. If heads of student organizations wish to have their events put into the Hilltop Happenings newsletter, they should e-mail Greg Killoran’s office at gpk@bumail.bradley.edu. Some students have suggestions for the newsletter. Ticaric said that she proofreads the newsletter before it gets sent out to students. “I add anything else that might be left out like events for organizations that I know should be in there,” she said. Ticaric also said students wishing to put their events into the newsletter should e-mail Killoran by the Wednesday prior to the release of the newsletter.